This text is based on my intervention in the final roundtable of the 2015 Gilder Lehman International Conference held at Yale University, on October 30-31, 2015. I thank David Blight and Marcela Echeverri for inviting me to participate in the conference. As you will see, my intervention refers to several other papers presented during the conference and whose abstracts can be found here, but overall it addresses a number of questions which I am exploring in my book manuscript on the history of reparations for slavery and the Atlantic slave trade. I would like to start this talk first by insisting that the study of the period that followed emancipation in the Spanish Americas and Brazil also informs us about how the slave past is alive in the present. Consequently, the study of the abolition of slavery in the Spanish Atlantic world (and also in the Luso-Brazilian Atlantic system) cannot be dissociated from the study of the abolition of slavery in the United States, the British, and the French Caribbean. It cannot be understood without taking into consideration the dynamics of enslavement in Africa as well. I also want to emphasize the problematic dialogue and opposition between history and memory, by emphasizing some distinctions between collective memory, public memory, and official memory, notions that are often employed in confusing ways by historians, even though they were not directly evoked in the papers presented here over the last two days. In her paper, Marcela Echeverri reminded us that the history of the abolition of slavery in the Spanish Americas (and I add here Brazil as well) has been largely neglected in comparison with the history of slavery and its abolitions in the English-speaking Atlantic world. Such neglect is not the product of some sort of magic. The most important and the richest universities and publishers where the historiography of slavery is being produced are based in the United States, Canada, and Britain and not in Brazil, Argentina, or Mexico. This geographical disparity in production of knowledge greatly contrasts with the fact that during the period of the Atlantic slave trade Brazil and the Spanish Americas imported the largest number of enslaved Africans in the Western hemisphere and that still today the largest population of African descent is indeed located in present-day Latin America. Also, except perhaps for Brazil, most of the scholarly works published in Spanish are rarely translated into English. Most works presented over the last two days brought to light the history of the abolition of slavery in the Spanish Atlantic by looking at the gaps and the silences found in the existing historiography. History here is conceived as an attempt to reconstruct “facts” regarding the slave trade past as “it really was” through the use, for example of databases (as examined by Alex Borucki in his presentation), or through the legislation as Alice Baumgartner showed us in her brilliant paper. But the historical dimension of the abolition of slavery in the Spanish Atlantic is not the only dimension that allows us to understand the processes that led to the abolitions and to what followed after emancipation. We saw in the various papers that independently of what “really happened” the ways the former slaves and their descendants remember, commemorate, and engage with the past also shaped how abolitions were understood in the past and are understood in the present. It’s never too much to insist that three modes of memory are in play here. Collective memory (mémoire collective) as defined by Maurice Halbwachs is a mode of memory carried out by social groups and societies within particular social frameworks. But collective memory becomes public memory when it is transformed into a political instrument to build, assert, and reinforce particular identities of the groups that carry it. Collective memory is also related to the way groups associate their common remembrances with historical events. Yet, in societies marked by traumatic events like the Atlantic slave trade, in which transmission of past experiences was interrupted, collective memory gives way to historical memory that to some extent can take more permanent forms like monuments, memorials, and museums, in processes that have been defined as memorialization, heritagization. In this mode of memory the flow or transmission of experiences was interrupted and because of that, it needs to be redressed. Historical memory that can be also conceived as official memory can be defined as the common way societies or groups in a specific society recover, recreate, and represent the past to themselves and to others in the public sphere. By listening the various papers presented in this conference over the last two days, either when these issues were clearly stated, or when there were silences on these issues, there were a number of common problems. For example, the suppression of the British Atlantic slave trade, as Richard Huzzey explained yesterday, was followed by the emergence of new kinds of coerced labor in Africa and the Caribbean. Also, as John Harris showed us, in the aftermath of 1807, the slave trade to Brazil and Cuba (either legal or illegal) continued to develop with the active participation of not only Spanish and Luso-Brazilian slave merchants but also of US slave merchants contributing to what Dale Tomich defined as “second slavery,” and as it was reminded this morning by Ada Ferrer. More importantly, the ways that abolition of slavery and the Atlantic slave trade occurred in the Spanish Atlantic determined the fate of the newly freed population in the next several decades. Like in the United States, after the independences, slavery was not immediately abolished in what would become Latin America. Indeed, despite the title of the conference in which the term “republic” is underscored, in the case of Brazil, although the country became independent in 1822, it continued to be a monarchy that totally relied on slave imports until 1850 and on slave labor until 1888, as Rafael de Bivar Marquese showed us this morning. Slavery was abolished gradually in the Spanish Americans and Brazil. In Latin American countries there was no a civil war fought over slavery, because planters and slave owners elites, especially in Brazil, agreed that slavery should be maintained as long as possible. In several countries of Spanish Americas and Brazil slave owners attempted to obtain (or through disguised means they were able to obtain) some kind of financial compensation for the loss of slave property after the end of slavery. If in the United States, Reconstruction was a failure, a number of newly freed African Americans had access, but only limited access to land and education. As Mary Frances Berry showed us in her book My Face is Black is True, many ex-slaves fought in organized ways to receive pensions, even though this movement eventually failed. lithograph, Currier & Yves, circa 1876. In the Spanish Americas and Brazil, it is not an exaggeration to state that the distribution of land to native and black populations was never achieved. In a country like Mexico, the fight for land ownership continued decades after the end of slavery and it took a revolution to engage the first initiatives to make a land reform, even though it remained incomplete. Indeed, the realities of the post-abolition period, as George Reid Andrews discussed in his paper, led to the persistence of racial inequalities between whites and the descendants of Africans and indigenous populations. And, of course, in all these countries racism is a daily reality. Today as never before we are seeing a true avalanche of monuments, memorials, films, television series, and museum exhibitions focusing on slavery and the Atlantic slave trade. 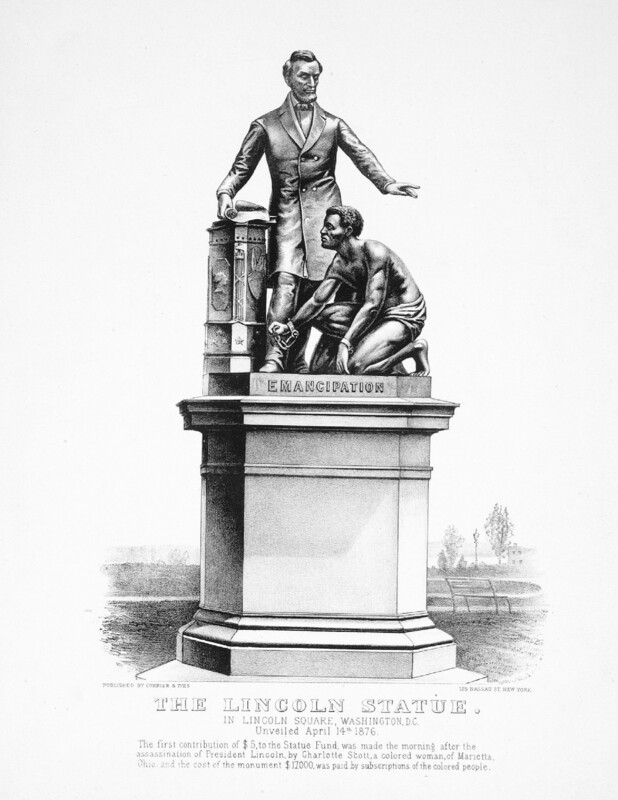 Indeed, except for Haiti, until recently the official memory of emancipation was not represented by the faces of those who fought against slavery, but by the so-called great emancipators: Lincoln in the United States, Princess Isabel in Brazil, Victor Schoelcher in the French Caribbean. 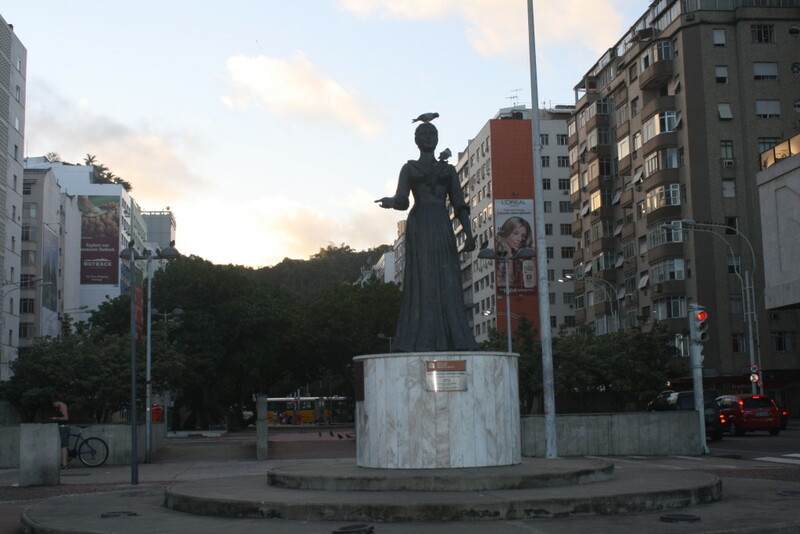 But today from Port au Prince in Haiti to Rio de Janeiro in Brazil or New York City in the United States slavery is being memorialized through the creation of statues celebrating slave rebels and of plaques marking slave wharfs and slave markets. 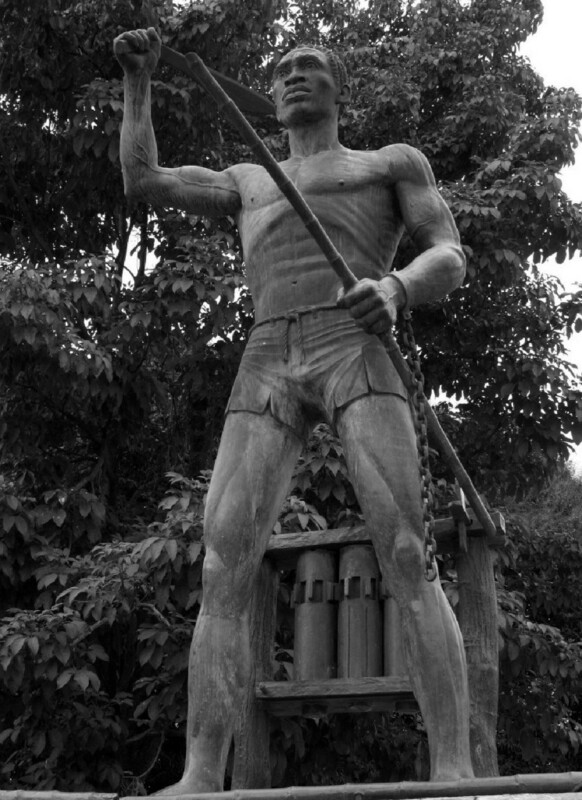 These initiatives are a response to the fact that slavery remains an uncomfortable chapter of the history of former slave societies, a chapter that if not totally suppressed from textbooks was at least downplayed and presented as a minor element of the history of countries like Mexico, Colombia, Brazil, and the United States. At the same time, we can also ask if these initiatives are not a sort of cry by social actors whose voices have been excluded from the historical narratives that we as historians have contributed to construct. For all these reasons, in the period we are living, where the populations of African descent constitute the majority of the incarcerated population in countries like Brazil and the United States, and when police and military violence are killing black men, women, and children not only here in the United States, but also in Colombia and Brazil, in days when there is still need to bring the slogan Black Lives Matter to the public sphere, we can ask ourselves if the traditional approach of history is sufficient to respond to the questions of the past and the urgent needs of the present. Araujo, Ana Lucia. Shadows of the Slave Past: Memory, Heritage, and Slavery. New York: Routledge, 2014. Araujo, Ana Lucia, ed. Politics of Memory: Making Slavery Visible in the Public Space. New York: Routledge, 2012.